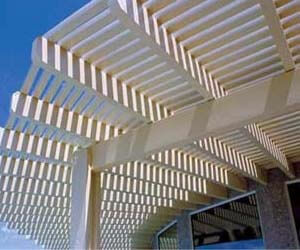 Offering professional sales and installation of Alumawood™ aluminum patio covers and Solara™ adjustable patio covers. 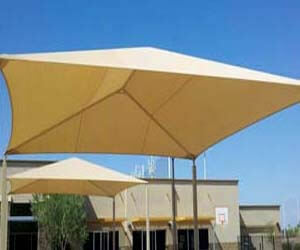 Perfect for pools, patios, courtyards, gardens, parks and playgrounds. 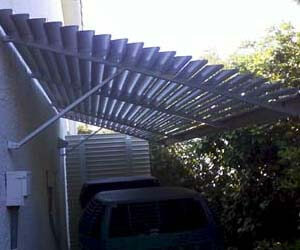 The perfect solution to bring shade to your outdoor living area when you want shade and when you don’t. 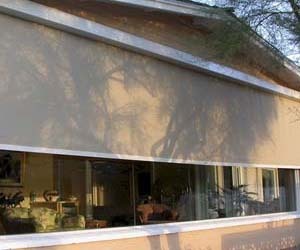 Offering professional sales and installation of window sunscreens in Phoenix metro area using Phifer Suntex exterior shading fabric. 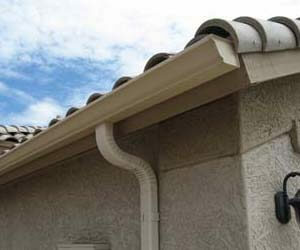 K-Style and half round rain gutters which help divert rain water away from the house. 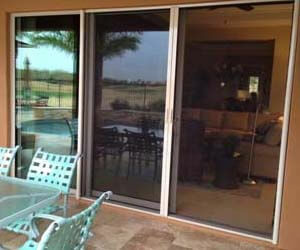 Authorized Arizona dealer for ClearView™ Retractable Screen Systems™. 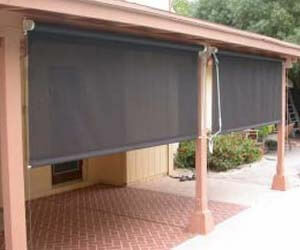 Roll down patio shades maximize the use of your patio by blocking up to 90% of the Arizona heat. The Arizona sun can be brutal. Don’t let it control you. 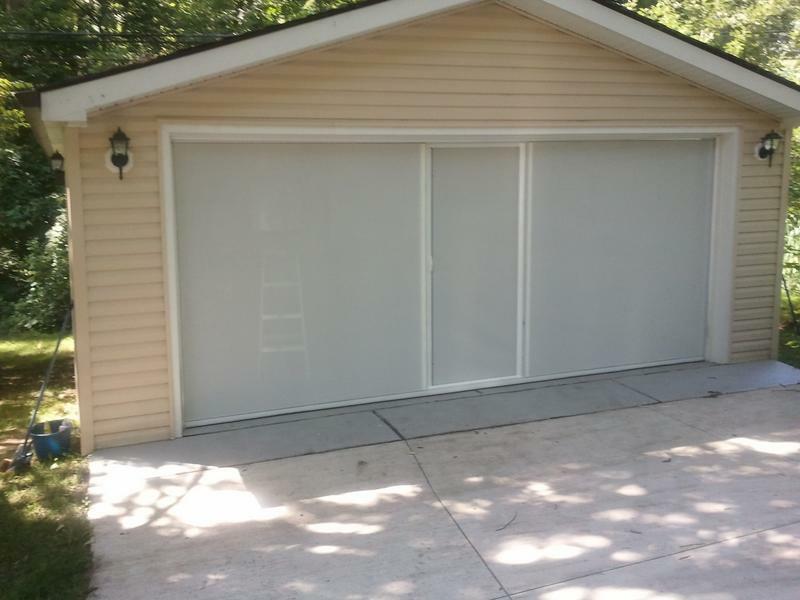 We offer a variety of affordable sun control products that will help you reclaim your outdoor living areas, as well as lower your indoor temperature. We use only the best, top-quality product lines to ensure your home improvement projects result in long-lasting integrity and beauty. 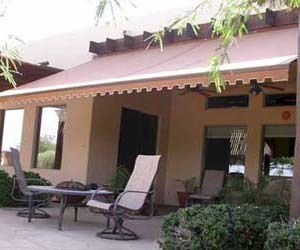 Sun control products include solid and lattice patio covers, ramadas, pergolas, rain gutters, ClearView retractable screen doors, roll down patio shades for patios, window sunscreens, and more! Customer satisfaction isn’t good enough for us. 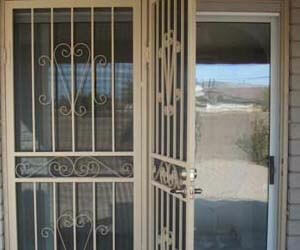 We strive for “Customer Delight” every step of the way. We look forward to delighting you. We had Ruben, Christine and their awesome team out to our home 3 times now and each time was more impressive than the prior. 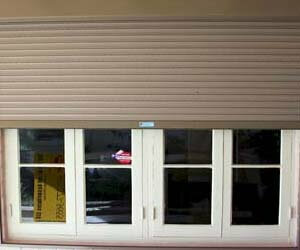 First it was superb rain gutters then a roll up screen for the front door. Then we did one remote controlled extending sun shade awning in the backyard as well as 3 more on all sides of our backyard. This company is exceptional in every way. On time, clean, communicative, just all around exceptional. My wife and I wanted to drop a note and thank you for the outstanding work that you and your crew have done for us. From your initial contact until the completion of the job, we were both impressed by the professionalism and the workmanship of AAA SunControl. 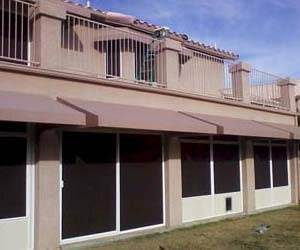 They installed suncreens on all sides of the house and had them install rain gutter on back patio. 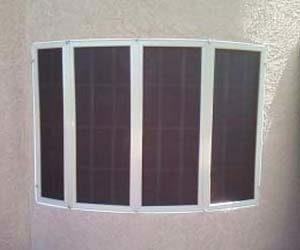 I am very pleased not only with the products themselves but the level of service they offer. I would highly recommend these guys for sunscreens and rain gutters and they offer a variety of other products as well for your outdoor living space.